The deadline for Making Tax Digital for VAT has now passed. Many legal practices are fully prepared for the new era via their updated practice management software. However, this is not the end of the line as far as tax digitisation is concerned. HMRC has put together a series of helpful notes and links. These describe both the ongoing process for VAT and what is around the corner for other areas of taxation. Take a look at the main points as described in an excerpt from their recent circular below. welcome to ‘V day’ (that’s VAT mandation day)! Today is the day that many of us have been working towards, for many months, Making Tax Digital for VAT mandation day! We’d like to take this opportunity to thank every one of you for, your contribution towards, getting us into a very strong MTD VAT software position. Together, we’ve seen many ups and downs over the last year but we hope you agree, this is a fantastic example of what we can achieve when we work in partnership. More than 200 products have now successfully submitted an MTD VAT return in live and are available for purchase now. Many more are in the pipeline and expect to be live within the next few weeks. Our collective effort, has provided our mutual customers, with a diverse choice of MTD VAT products to suit wide range of needs. Over the next few months we will continue to work with you to deliver new products. We also intend continuing to iterate the software choices page, providing more filters that will help users to better refine the extensive product list. We have already added accessibility filters, more information on this is available below. But it’s not all about VAT, while this edition is, understandably, VAT heavy, we want to make it absolutely clear MTD for Self Assessment is still happening. This is despite Spring Statement not confirming a firm date for mandation. We will continue to build and deliver the ITSA solution and expect mandation to follow, once the system has been proven to work well. Latest updates are included below. As expected, we’ve seen an increasing amount of media coverage in recent weeks, however, we’ve also noticed some content containing inaccurate or misleading information. 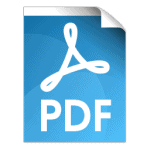 The attached ‘mythbuster’ document, is designed to provide the accurate picture, we hope you find this useful for your communications with customers. Will customers over the VAT threshold be automatically signed up to MTD from 1st April? No. MTD requires customers to sign up to the service, so that we can verify their information and migrate their record to the MTD system. We will not be undertaking a wholesale migration from today, the processes your users have been following, up until now, will not change and can be found here. Important: businesses should not sign up to MTD until they have filed their last return through the old xml route. This is because sign up migrates their record to our new MTD system and closes off the xml channel. Are customers submitting the VAT return through existing XML software already MTD compliant? Does the customer have to submit their first MTD return immediately after 1st April? No. The 1st April is the date that customers are mandated to start keeping their records digitally. The date for filing the first MTD return, is the first full period that falls after the 1st April. This means that for monthly customers the earliest return would be 7th June and for quarterly customers the 7th August (assuming they haven’t already joined the pilot). The actual date will depend on what stagger the business is on. Will customers receive penalties for not filing MTD returns or keeping digital records? Not yet. The government has confirmed a light touch approach to penalties in the first year of implementation for MTD VAT. Where businesses are doing their best to comply, no filing or record keeping penalties will be issued. However, customers must continue to pay their VAT obligations on time, as late payment penalties will still apply. Can agents sign clients up to MTD in bulk? In our last edition, we advised that we would be implementing new functionality to stop customers submitting using the old xml route and to stop them from submitting returns for periods not yet ended. We can confirm that both changes went ahead as planned. Details of these changes and their impacts are recapped below. Customers who have signed up to MTD are now blocked from submitting their returns via the old XML route. This applies to both third party software and portal submissions. This change only applies to all customers who signed up to MTD after the change was implemented (19th March). There is, therefore, still a chance that those who registered beforehand will submit incorrectly but we expect volumes to be very low. The VRN specified [VRN] was not found. While the validation will now prevent the submission, it could still cause your customers frustration if they can readily select an incorrect period in software. We would therefore recommend that software defaults to the earliest outstanding obligation. E.g. Up until 30/06/19 we would only return the current obligation (unless old obligations remained unfulfilled), however, from the 01/07/19 we would return both the current and the next. To ensure the customer correctly selects the current period, we recommend that software always defaults to the earliest full outstanding period, which in this example is Obligation 1. Error messages latest – 90% of error root causes establishedOur work on analysing error messages continues. In the last edition we shared our findings on 403 and 500 messages, we can now also provide an update on 404 errors. These 3 errors make up over 90% of the errors we see returned by the API platform. We are therefore confident that we understand and are addressing the main causes of errors and you should expect to see an improving picture. For completeness, our findings on all error messages are included below. View VAT returns pre MTD call. Obligations for periods pre MTD call. Liabilities for periods pre MTD call. View payments for periods pre MTD call. The user’s historical information will remain visible via the legacy channel. We recommend software makes this clear to users. The API platform is a shared resource with millions of calls being made to it every year across multiple tax regimes. Protecting the integrity of the platform is crucial to the delivery of vital public services, this is one of the reasons we have a standard call rate limit in place of 150 requests per minute. One of the things you can do to help, is design your software to make the minimum number of calls required to provide your users with an effective service. We have seen an increase in automated design with software continually calling the APIs when they initially get an error message or the APIs being called every time a user accesses the product. How you design your product is entirely up to you, you know your users and what they need, but we do ask that developers consider the number of calls their design will create and how that might impact the platform. You should also bear in mind that as you scale your product, there is an increased likelihood that any automation that repeatedly plays back the same error message, will result in rate limits being exceeded. Investigations found that this error is returned where the customer has not waited the recommended 72 hours for their record to be migrated to the MTD service. This means when they attempt to call an obligation there is no record for us to return. Agents and customers should only attempt to submit a VAT return once they have received the email confirming the customer is now in MTD. If, after 72 hours, they are still receiving an error, they should report it to HMRC. Has signed up and linked clients but the customer hasn’t subscribed to the Making Tax Digital service. The agent step-by-step guide was specifically designed to help guide agents through the various steps. We recommend that all agents use it when signing up to the service. We would appreciate any assistance you can provide by pointing your agent customers to this guide. Accessible products – we need you! If you are a developer with a keen interest in making your product accessible, please contact SDST@hmrc.gov.uk and we will be in touch. Welsh products – we need you (again)! As with accessibility, HMRC has a responsibility under the Welsh Language Act to provide Welsh speaking customers with the ability to file their VAT returns in Welsh. HMRC intends to eventually close its xml route to all VAT customers and we would therefore like to hear from any developers interested in producing their products in Welsh. Please contact the SDST@hmrc.gov.uk to register your interest in building a Welsh product and we will be in touch. We continue to iterate and improve the software choices pages. Following the splitting out of the pages we reported in our last edition, we received feedback from developers. This said some customers were struggling to find their MTD VAT listing because it wasn’t clear that they needed to click on the ‘use this tool’ function. We have now amended this to make it much clearer. However, please continue to provide feedback of your experiences with the pages. In our latest iteration of the MTD VAT page, we’ve added filters to enable users with accessibility needs to refine the entries down, to identify specific products that meet their needs. The ‘in development’ section was introduced during the pilot to reassure external stakeholders and customers that we were working with the software industry to ensure there would be MTD products in the market. As we are now fully live the need for this page has diminished. We intend to withdraw this section at the end of April. We will shortly be reaching out to developers listed in this section to establish when they expect their product to be ready. We have recently updated the Developer Hub in Production to advise that we will be turning off support for anything below TLS1.2 from 1 Oct 2019. Please see the link below for the updated paragraph which can be found at the bottom of the Authorisation guidance. This is being treated as a breaking change, which is why we are providing six months’ notice, but we advise developers to switch over to TLS1.2 as soon as possible. The Direction sets out the metadata required under the legal obligation on software suppliers (under the Delivery of Tax Information through Software (Ancillary Metadata) Regulations 2019, S.I. 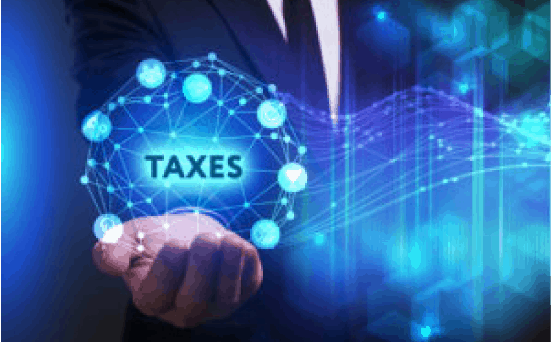 2019/360) to ensure their products, that use the Making Tax Digital for VAT API, collect and send all available fraud header information along with taxation information that it relates to. This information must be sent to HMRC systems electronically, from the products that taxpayers use. Fraud prevention headers are mandatory for MTD VAT messages from today (1 April 2019). However, we will work with developers, as necessary, to ensure software applications are made compliant, as quickly as possible. Currently, our logs show that some applications are not submitting the required metadata to be compliant. We are happy to assist you by conducting a review for both sandbox and production environments. Important: If you haven’t done so already, we would urge you to contact us immediately with an update on the progress you are making. We try to ensure that developers are informed of downtime with plenty of notice. However, you may be aware that we’ve recently experienced some technical difficulties with our mailbox that has led to delays in emails being shared. We believe these issues are now fixed. However, for future reference you can keep up to date with scheduled downtime by checking this page. Changes to error responses. We have recently released some changes to the error responses for the ‘crystallisation’ and ‘intent to crystallise’ endpoints. Version 1 of SA API withdrawal. Following requests from vendors we will now not be retiring version 1 of the Self-Assessment API until the end of May. Use software to submit your VAT Returns – A guide for businesses, outlining who can sign up to the MTD for VAT pilot and providing details of how to join. Agents: use software to submit VAT Returns – A guide for agents, outlining how agents and their clients can sign up for the MTD for VAT pilot and details of how to join. How to sign up for Making Tax Digital for VAT? How does Making Tax Digital for VAT affect you?